Not feeling confident at all? Try this trick. 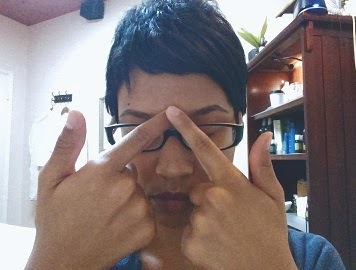 Using your index fingertips, make clockwise circles on the point between your eyebrows at the center of your brow bone. According to experts, stimulating this spot triggers endorphins release and opens the "third eye" chakra, known as the perception center, which bolsters self-esteem, self-compassion and inner peace.